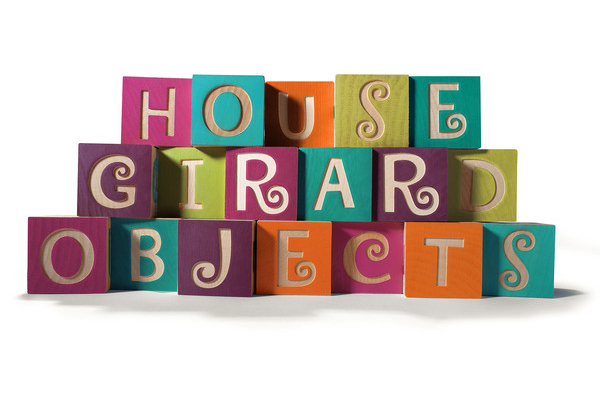 In 2005, House Industries invited me to digitize the lettering used to announce the textile designs that Alexander Girard did for Herman Miller. 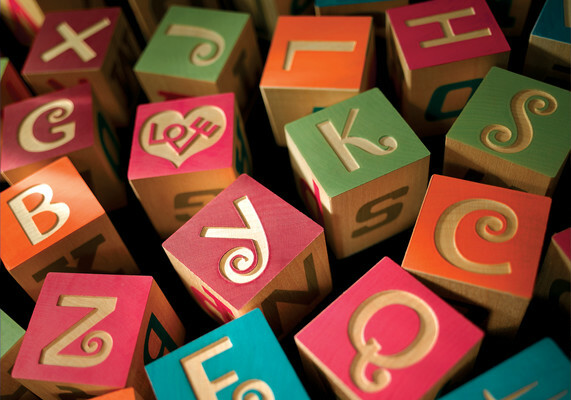 Girard Sansusie is a reinterpretation of this design, based on the few letters that were available to me. Girard Sansusie combines a folk flair with a lettering style evident throughout the Girard oeuvre, most notably on his 1955 Herman Miller fabric catalogue. 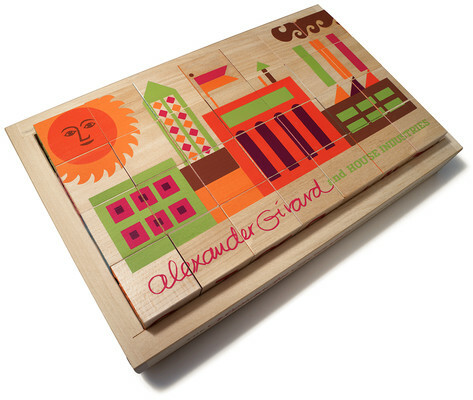 Alexander Girard was a master at utilizing lettering and type as practical, illustrative and readable elements. House Industries’ designers carried out extensive research and, as a result, designed four fonts, Girard Sansusie is one of them, suitable for contemporary publishing environments. Lots of alternate characters and “smart” OpenType programming allow Girard Sansusie to escape from the stiffness of typography. 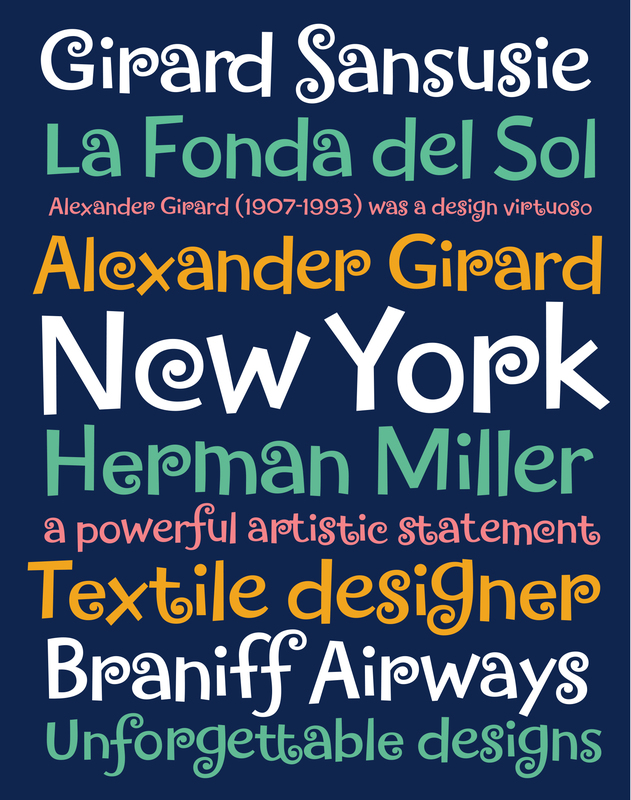 You can see much more about the Girard font Collection and purchasing options at House Industries website and a lovely movie about the complete project. 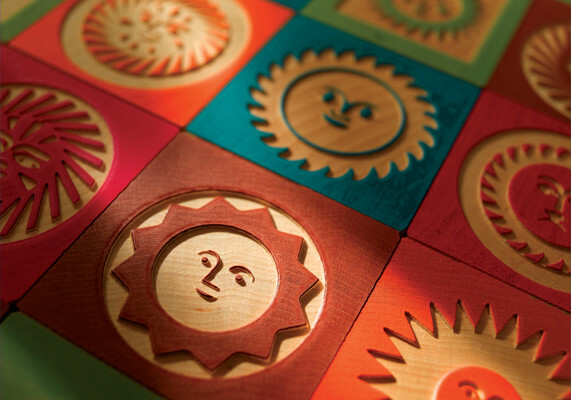 A very nice set of blocks were created as well.